Signature Park is situated at Toh Tuck Road off Jalan Jurong Kechil, Upper Bukit Timah Road which is near to the Bukit Timah Nature Reserve. Signature Park is a high density condominium with complete resort facilities and closeness to the dozens of eateries along Upper Bukit Timah. Shoppers can also find the Courts furniture mall and The Banyan tree retail shop across the road. It is also near to Bukit Timah Plaza, Bukit Timah Shopping Centre and Beauty World malls. Signature Park is easily accessible using the Pan Island Expressway (PIE) and the Bukit Timah Expressway (BKE). It takes around 15 minutes to drive to the Central Business District. 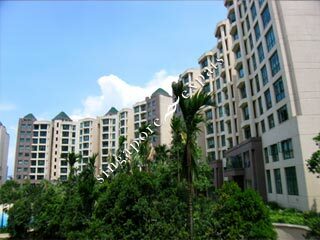 This condominium is very well maintain by the Management council and the Managing agent. Has been regularly upgrading. Value for money ! Convenient and good location with full condominium facilities! The condo and its amenities are decent but this is 1 restrictive condo. Draconian and be prepared to be assaulted by committee members and security guards who tell you off, threaten u by taking photos of you and by throwing your possessions away. Not a cat friendly condo and feeding of stray cats, even responsible feeding which entails cleaning up, will result in all 3 repercussions above. For your own safety, you should bring a phone with u wherever u are in this condo. I was not at happy with my stay at Signature park. The connectivity is poor, its ok if you drive, else you will end up taking cab most of the time. The nearest MRT is about 20 min by bus. The future beautyworld MRT is going to be about 1 km away. The nearby areas, which used to be greener earlier is being now used for building another condos. The opposite to Signature park on the Jurong Kechil entrance, is now completely destroyed to build another condo, which use to be lush green earlier. With so many construction coming up in the nearby areas, this place is going to be very messy and with lots of traffic jams in future. The appearance of the buildings and the common areas is bit shabby. The gym is too small to do any serious exercise. One big problem is that the walkways becomes very slippery during rains which could be fatal for children and old people. The layout of the houses is not very efficient. The living room is long and stretched. Unlike the design of some new condos, the rooms are not square, therefore not very efficient layout. In short avoid if you can.